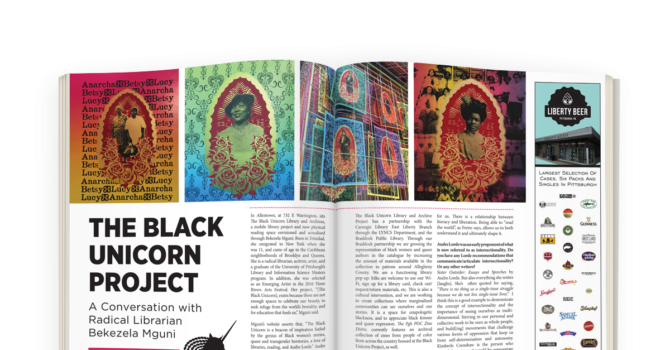 New Sun Rising fiscally sponsored project, Black Unicorn Project, is a library and archive that exists at the intersection of literacy, art, + history while focusing on the contributions of Black women, Queer & Trans POC. Recently, New Sun Rising VISTA Amy Maurine Edwards interviewed founder Bekezela Mguni and the transcript has been printed in the local publication, Steel This Magazine. Their discussion touches on Mguni’s current reading recommendations, the growth of the archives, fourth-wave feminism, intersectionality, and more. Read the full article here and look for printed copies around town.